A film whose entirety takes place in Akron, is about an 11-year-old boy whose derby dreams are left in pieces after his soldier father is killed in Afghanistan. The boy teams up with a father figure whose own son, a firefighter, died in the line of duty, and the two help each other find redemption and revive the derby. 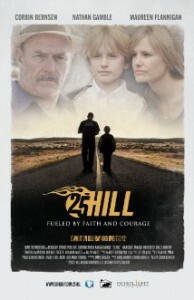 This film served as a boost in advertising for one of Akron’s oldest traditions during the summer of 2010, when the film was shot all over Summit County. “Major League” actor Corbin Bernsen directed and starred this heartwarming tale, bringing an over one million dollar budget to Akron. In addition to the Soap Box Derby, the film features shots of Downtown, most notably Main Street. “25 Hill is the only film on this list whose majority of scenes were shot in our hometown. 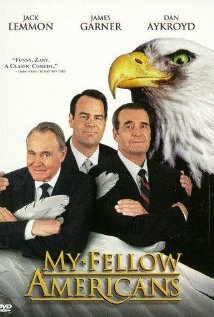 Two former U.S. Presidents (Jack Lemmon, James Garner), who are hated rivals, join forces to expose the current, corrupt President (Dan Akroyd) at the risk of their lives. Midway through the film, the two presidents discuss a hideout point in Akron, Ohio, which is right next to Lemmon’s library in Cuyahoga Falls. This Akron appearance used to always crack me up because there are Douglas Fir trees, as well as mountains in the background. Not exactly the best representation of Akron on the list, but it is my personal favorite of the films included on this list for the back-and-forth bickering between the main protagonists, that offers lots of Republican Vs Democrats slighting. Lemmon serves as a Republican representative from Summit County, and the movie leaves us in a dreamlike state, as we wonder what the world would be like under an Akronite’s leadership. When a law school dropout (Colin Hanks) answers an advertisement to be a personal assistant he unknowingly signs on to work for a belligerent has-been magician (John Malkovich) struggling to resurrect his career. This leads to a journey across the country staging the comeback of a lifetime. The film features a stop in a quite familiar city, that is featured as a stop in Howard’s redemption tour. The audience is treated to Malkovich’s enriched enjoyment of our city, when outside of a building where Howard just performed, he yells “I LOVE THIS TOWN!!”. What i like about this appearance is that the people of Akron are given a lot of spirit and excitement for someone they believe in. The spot is brief, but with Akron on his side, Buck is blessed with the support to keep going on his tour after a rocky start. 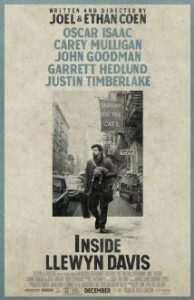 The film follows the life of a young folk singer (Oscar Isaac) as he navigates the Greenwich Village folk scene of 1961. Guitar in tow, huddled against the unforgiving New York winter, he is struggling to make it as a musician against seemingly insurmountable obstacles, most at his own doing. During the beginning of the third act for the film, Davis heads to the midwest for a business opportunity in Chicago. After another failed chance, Davis heads back to New York, but has a near fatal accident on Route 8, just ten miles outside of Akron. 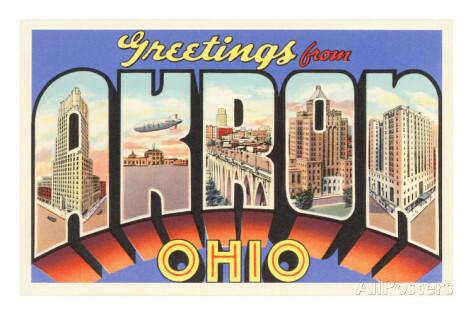 This pick is a little shaky since it’s not technically Akron, but Route 8 is known for one direction, and the Akron sign gives us a warm feeling during some of Llewyn’s most trying times. In addition to rubber city ties and stellar acting, the film is boosted by the greatest musical score of 2013. An whimsical middle aged man and an imaginary bunny rabbit whose dreamy vacation spot is in Northeast Ohio, is at the center of this black-and-white classic. Due to his insistence that he has an invisible six-foot rabbit for a best friend, Elwood Dowd (Jimmy Stewart) is thought by his family to be insane, but unexplainable developments leave his loved ones in question as to whether he really is being truthful. 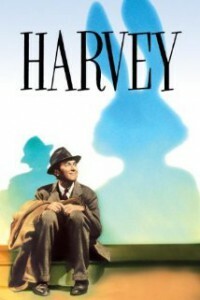 “Harvey” is a timeless classic among film fans young and old, and a lot of that centers around this one man comedic stage show that Stewart immitates effortlessly. It would be great alone for a film of this magnitude to mention Akron, but it’s made even more important when we find out that this fictional rabbit lives in the real-life city. Based on my thirty years in this city, i’ve never seen six-foot tall rabbits, but i have seen a lot of honorable praise for this beautiful place. 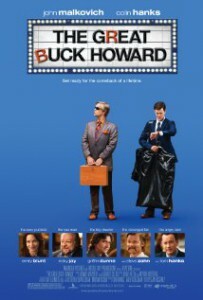 Something Stewart has in this movie in spades.